The cream is fluffy and light, and the crust is like a chocolate brownie. 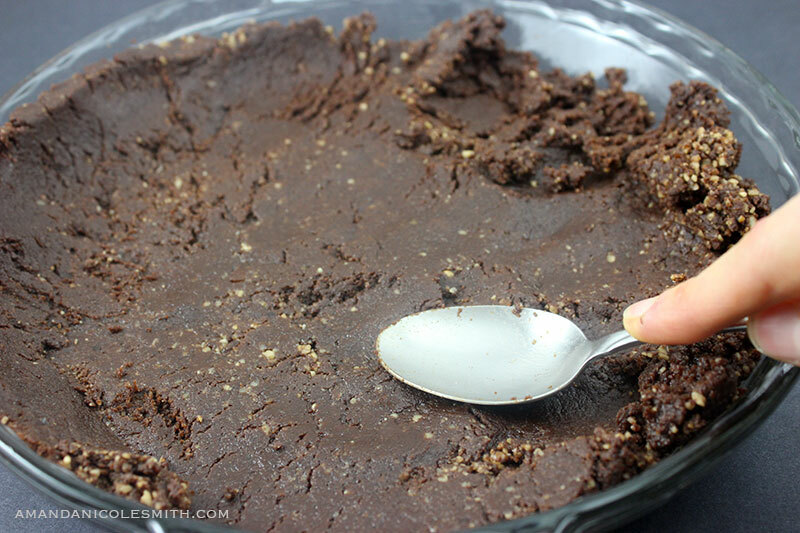 In fact, if you have ever had raw vegan brownies then you’ll be happy to know that this crust is just like those decadent chewy brownies, and just as easy to make. The ingredients may be slightly different but the concept is the same. I could almost describe it as healthy fudge, relatively speaking of course. 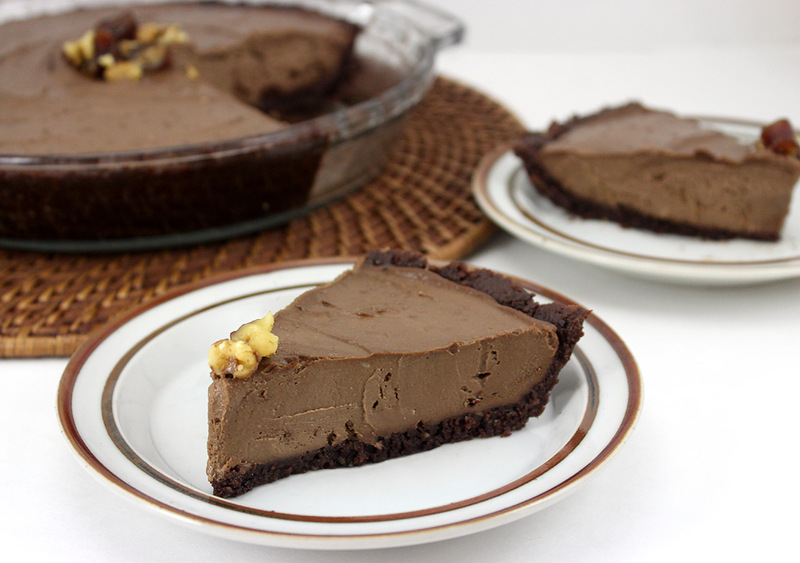 Raw vegan pies are my favorite easy desserts to make for friends and family. Vegan or non vegan, they always come back begging for more, if they can fit it! 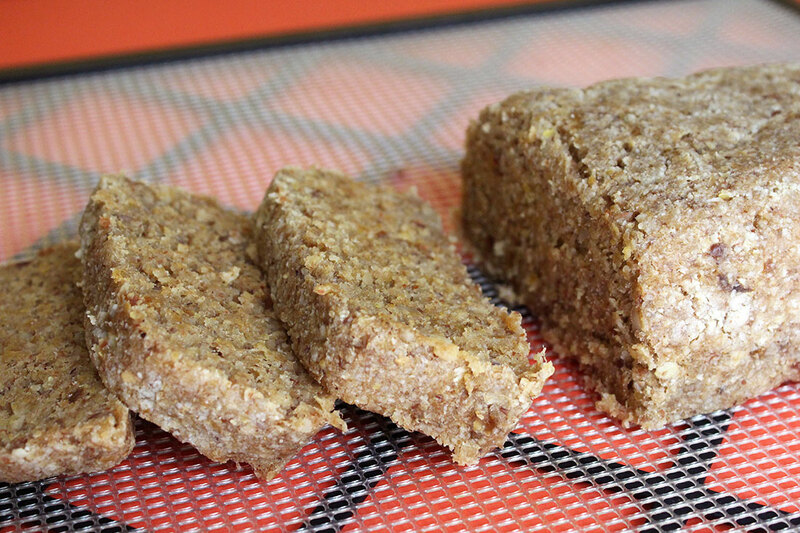 That’s the beauty of raw food recipes, they are naturally dense because they are made from nuts, and so one little piece of pie can fill you up quickly. 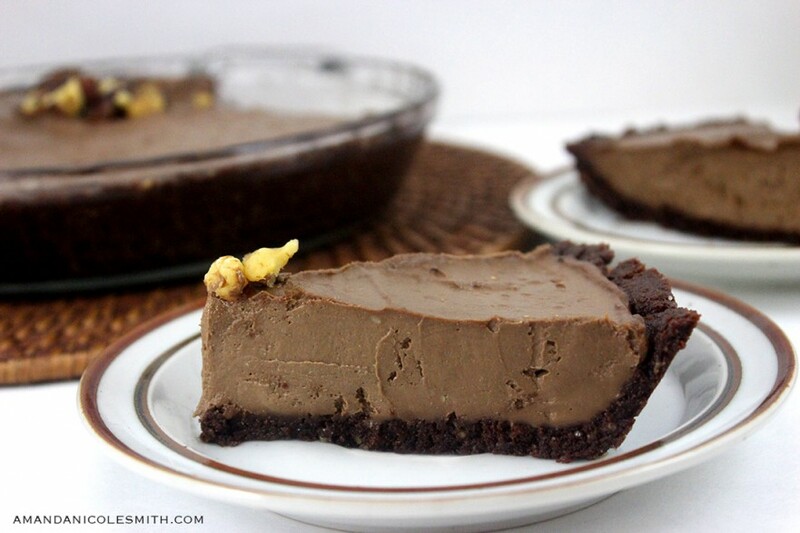 I actually prefer to eat this pie right after lunch, instead of for dessert, because it’s the perfect snack to curb my cookie addiction, and it keeps me satisfied until dinner. I came up with this pie recipe about 3 years ago when I realized I was spending a lot of money on cashews. I would make cultured cashew cheese, kale chips with nacho cashew cheese, cashew alfredo sauce; you get the point. 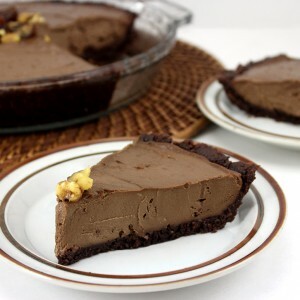 One day I decided to make this chocolate pie and I didn’t have enough cashews; gasp, I only had 1 cup left and I didn’t want to go back to the store. So I decided to get creative with the extra avocados I had. It made sense that it would work because I used to make raw avocado pudding often, I knew it had to be good, with a little tinkering of course. 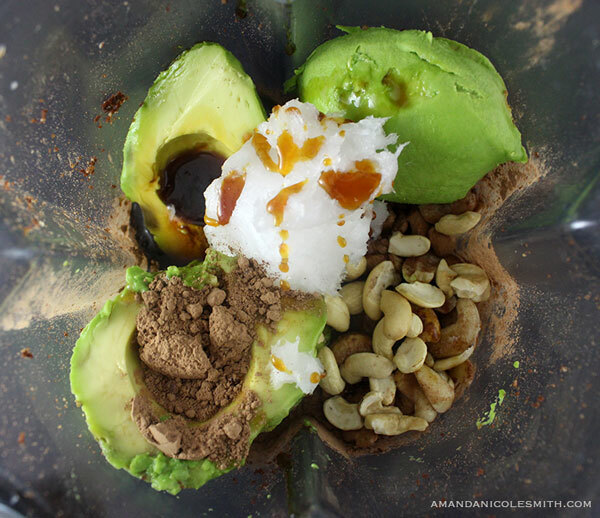 If you have a really good food processor or a vitamix you can mix all of the ingredients together. But if your food processor has seen better days then I recommend processing the walnuts first and then adding in the dates and chocolate. All you have to do is pat the crust down after it has been processed and move on to the filling. 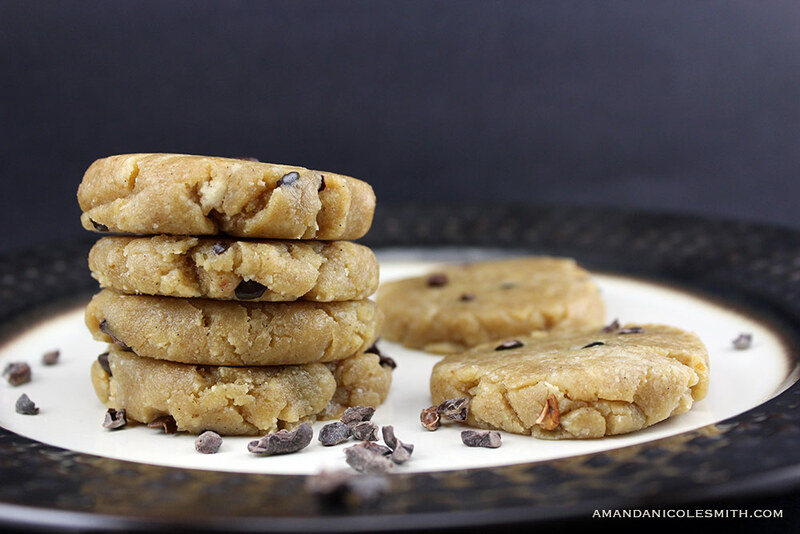 The only sugar used in this recipe is coconut nectar. 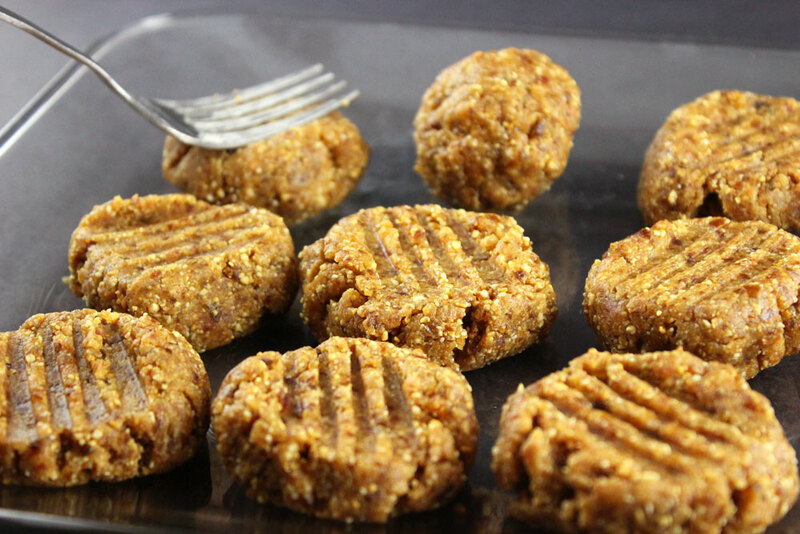 If you are not familiar with coconut nectar, you are in for another treat because it’s amazing! It’s one of the thicker sweeteners and it tastes nothing like coconut, because it is the sap from the coconut tree. Although sugar is not considered healthy, coconut nectar is a healthier alternative to processed sugar cane. 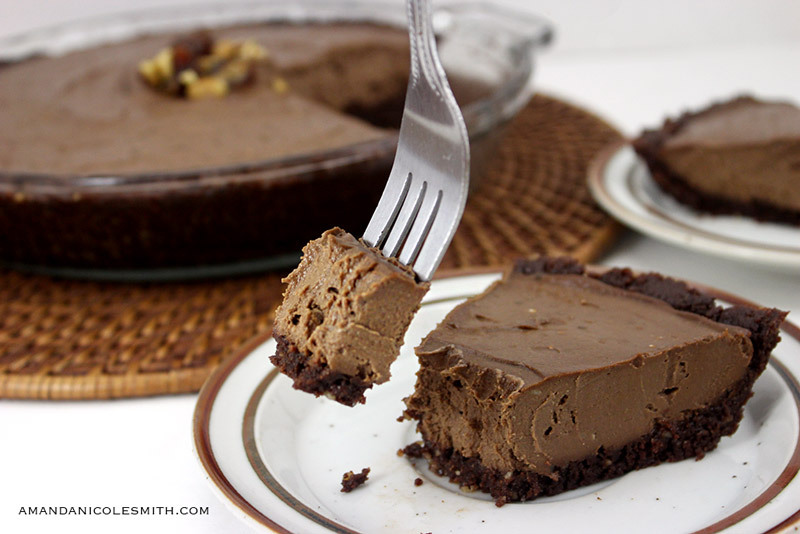 So essentially this pie is a raw vegan brownie crust with a raw vegan chocolate pudding as a filling. Life doesn’t get much better than this! 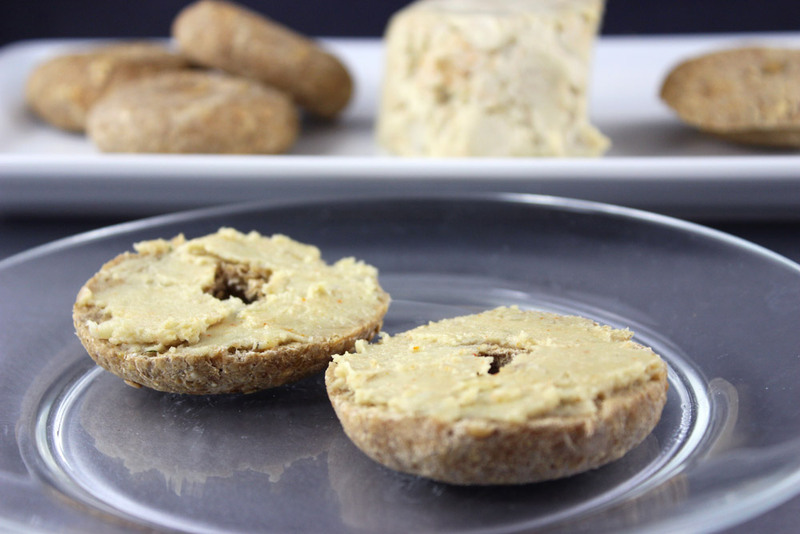 If you have a regular blender or food processor, blend the cashews separately, adding a little bit of milk at a time until you have a smooth cashew cream. Add the filling to the crust, smooth it with a spoon, and wiggle the dish to release any air bubbles. Refrigerate for the remainder of the pie's life. 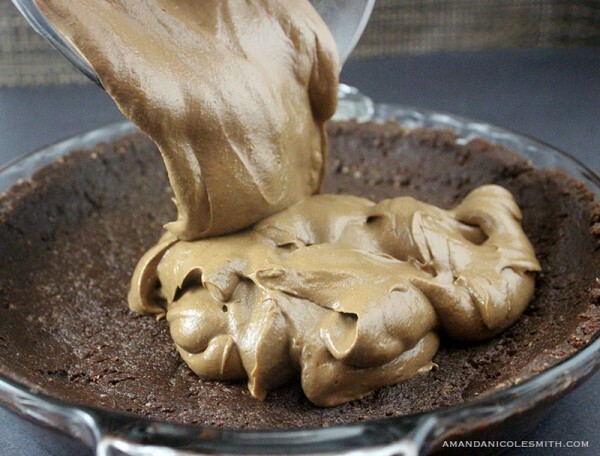 Hope you all enjoy, let me know how your chocolate avocado cream pie comes out!! Hey Helen, what I would do is make the crust out of a combination of seeds. Flax seed, pumpkin seeds, sunflower seeds, and chia seeds in equal parts; same measurements as the walnuts. To replace the cashews in the cream filling I would use sunflower seeds or you could just use 3 avocados. 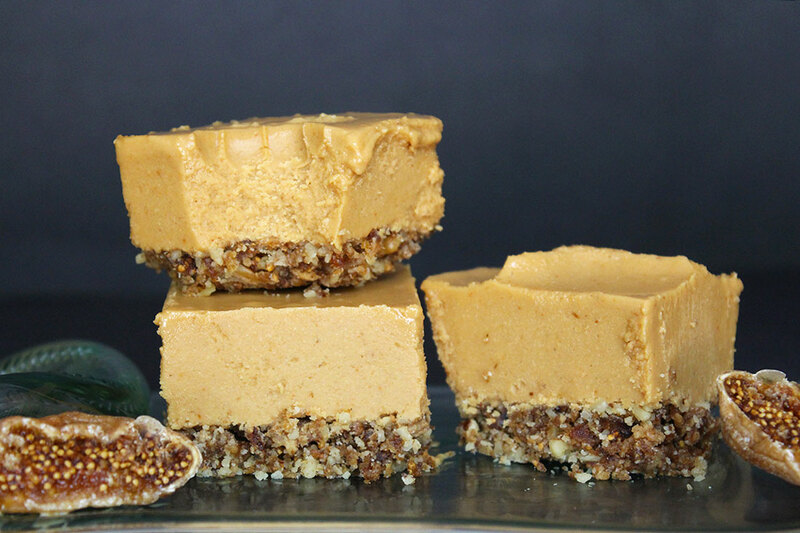 I used to make sunflower seed cheesecakes for a friend with a nut allergy and she loved it! However sunflower seeds do have a different distinctive flavor when used in desserts, it may need a bit more coconut nectar. Heavenly! I haven’t heard of coconut nectar – I will have to check it out! I have never made a “raw” pie before, but I experimented once with chocolate avocado mousse and enjoyed it, so I thought I’d give this a try. I will say this was a bit frustrating to make without a food processor or Vitamix (regular blender here), but it worked! And the texture is perfect. THIS IS DELICIOUS! The first bite I wasn’t sure, but then I was beyond happy. 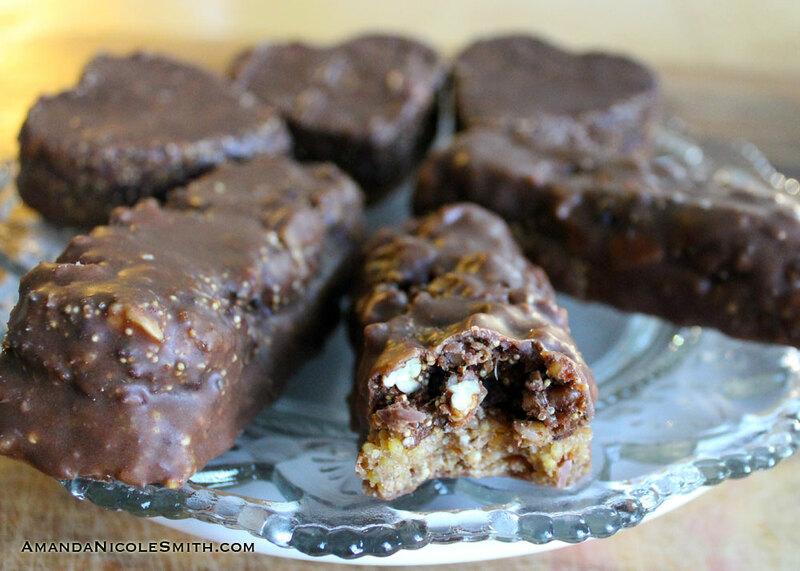 Usually recipes this healthy taste like it, but this feels like a true dessert – a sinful indulgence – even though it’s lacking the elements that make a typical dessert “sinful.” I just want to eat the whole pie in one sitting. 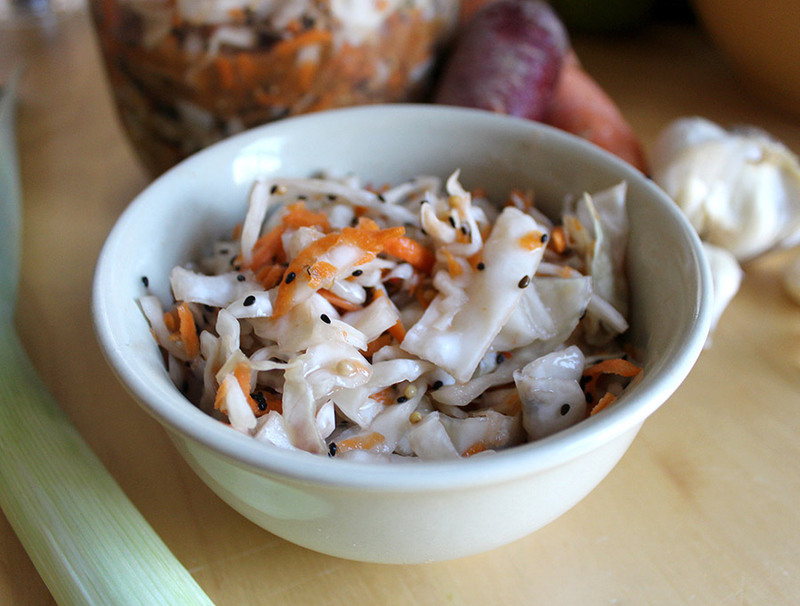 Thank you for such a great recipe that I will be making again and again. What can I sub for coconut nectar? Hey Molly, I would replace coconut nectar with any of the following… maple syrup, honey, brown rice syrup, agave, or any other liquid sweetener. Enjoy! I just found this recipe and will try this tonight! Will let you know. I’ve just made it and it’s very good!! I would like to know what can I use instead of coconut oil because it tastes a little bit of coconut. Thank you for this wonderful recipe!! Hey Andreia, I’m so happy to here you like it! :D You might be able to just skip the coconut oil and the pie would still be thick enough to hold on it’s own. For extra assurance; I would either use another 1/4 cup avocado, or cut the coconut nectar in half and replace it with date paste as a thicker substitute. 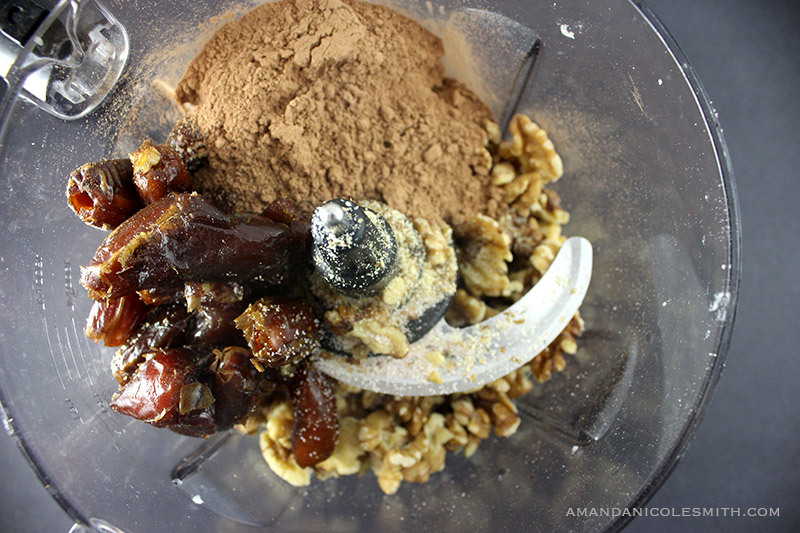 Date paste for this replacement would be 1/4 cup soft dates + 2 tbsp water blended until smooth, and maybe a little extra chocolate! Can I reduce the amount of coconut nectar? I.e: I don’t want it to be as sweet. I’m sure you could, just taste it before you finish to make sure it is to your liking. Enjoy! I needed a recipe to use up some avos. I tried this and am blown away. Absolutely outstanding! I’m super sorry it didn’t work out for ya! Wish I could have helped so it didn’t leave a bad taste in your mouth.